Be the first to create three single marks in the line whether or not it’s horizontal, vertical and diagnose, each time you place a Mark you will determine where you opponent will place there next Mark, there are three times three square place in the three times three places. This is a easy game and there will be some strategy for player to win the game and be careful for some time there will be just only one time to make things right. Also you can play Strategic Tic-Tac-Toe woth your friend on the same computer, that must be fun, hurry up and call your friends. You can play Strategic Tic-Tac-Toe free online sports games at fogames. It has tags: Puzzle,2 Player,Board,Strategy. It has 2076 total plays and has been rated 81.3% (4 like and 0 dislike), find the fun and happy day. If you want to play more sports games, we find some of the game: Strategic Tic-Tac-Toe, Stealing The Diamond, Happy Wheels and Emma: Zombie Defense!. To play other games, go to the puzzle games page, the 2 player games page, or just check out the new games or best games page. 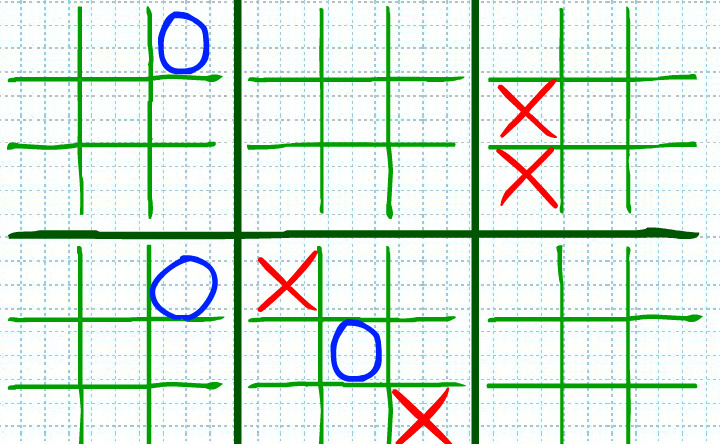 Play Strategic Tic-Tac-Toe online games, Fun and Happy.